Owning a bed and breakfast is Emma Heartly’s dream, but without a clear title she can’t afford the rehab of the abandoned family dwelling. To prove herself to her younger sisters, Emma moves in and begins renovating the two-story house. Quentin Stone much admires the classic lines of the crumbling Victorian and its red-haired owner. Though Emma can’t afford to hire Stone Construction, he volunteers to help her after-hours. 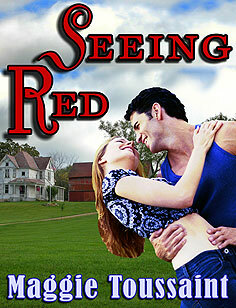 “Maggie Toussaint brings life to these intriguing characters in her short novel, Seeing Red. 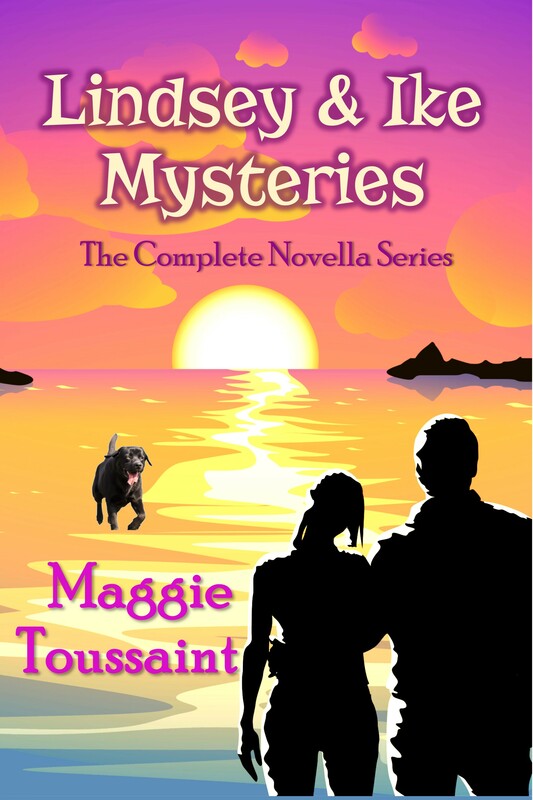 Whether describing the vibrant attraction between the lead characters or the suspense and mystery of the events that bring them closer together, this novel is a romantic treat. She’d been so close to starting her life over. Why’d that banker need three signatures for the loan? Why didn’t her sisters sign the paperwork? Emma slopped more paint on the old barn. Life wasn’t fair. She’d taken care of everyone else—why couldn’t it be her turn now? Tears threatened. She blinked them away. She’d cried her share of tears already. She might be down, but she wasn’t done. Quitting wasn’t her way. She’d figure this out, even if she had to do the work by herself. Paint streamed off the end of her paintbrush. Thin scarlet beads trickled down the splintery boards and pooled in the late-summer grass. She slapped another brush full of color on the barn. Speckles of paint dotted her bare feet. Time to shake off the chains of the past. The loud thumping of her heart blotted out the happy twitter of nearby birds. Paint fumes filled her head, dulling her senses. Her field of vision narrowed to the crimson paint staining the old barn. Heartlys ended up with shattered dreams. Emma swallowed the lump in her throat. She’d find a way out of this mess. She’d been in worse situations and found success. Comforted by that assurance, she swabbed on her last bit of paint. Out of the blue, her skin prickled. Something registered in her peripheral vision. Something shiny. “Aah!” She whirled. In what seemed like freeze-frame action, an arc of red paint flew from her brush. It splattered across the crisp white fabric of the man’s shirt and his striped navy tie. She’d ruined his clothes. What a terrible time to be a klutz, when she needed every cent she could scrape together. No telling what men’s clothing cost. Heart racing, she stared at the man. If she overlooked the red paint on his attire, he looked like he’d stepped off the pages of a glossy magazine advertisement. All right, Mr. Tall, Dark, and Gorgeous, what wrong turn brought you here?